Sweet potatoes are the healthiest vegetable in quite a few categories, I just read. I also found out that a town in Tennessee called Gleason (which is my maiden name!!) has a Tater Town day and festival which celebrates the sweet potato. How awesome is that? I usually have them baked at Taylor's family's house for dinner, and this Thanksgiving, his mom made really good sweet potatoes in a buttery, brown sugar sauce. Yum! I made some "fries" by tossing a sliced sweet potato in olive oil with a little salt and pepper. Then I baked them for 15 minutes, flipped them over a little and baked them another 15 minutes, at 350. Super easy! They were just a l i t t l e crisp on the outside and hot and soft on the inside. Not really like fries, but very good still! This weekend we started decorating the apartment for Christmas. Penny is so bad about handling new things and so she barked angrily the whole time. I don't know how we'll put up the tree. But, this little grouping was a fun project to do. I printed Christmas song lyrics and titles (in some of my favie fonts like Futura and Helvetica Neue Ultra Light) on the left; I found the silver Merry Christmas at Hobby Lobby; the paper with antique furniture is just scrapbooking paper from my stash; the Merry Merry Merry is a Christmas card; Santa Claus is coming is a favorite Sufjan Stevens lyric that Taylor picked out and we framed; and the mirror is something I've had forever but never actually hung up! In January, I'll just switch out the Christmasy things and leave it up. We just learned about degrees and measuring temperature, and this assignment introduced using transitional words like first, next, then, and last. This topic was a lot of fun to talk about because it's interesting to see which ones know anything about cooking from watching or helping their families. Enjoy! Sprinkles and get rid of the fat. Look at her drawings! How cute. Get ready and wait and wait for all the people to come until they're here. Happy Thanksgiving! We have so much to be thankful for. This is something we did in October at school. I LOVE LOVE LOVE writing in first grade. They change so much over the course of the year. This was an assignment where I gave free reign; I just helped with some spelling and told them that a letter starts with Dear. These letters are pretty sweet. I made a recipe similar to this a few weeks ago, but this one I just made up as I went along. I had 1 cup of cream to use up from the mac and cheese I made a few days ago. This was so warm and filling for a cold, rainy day! Boil 1/2 lb. mostaccoili pasta. Meanwhile, heat 1 can tomato sauce (15 oz.) and stir in 1 cup cream. Sprinkle in a little garlic powder, salt, pepper, and red pepper flakes. I didn't measure! Not the most glamorous of photos...or foods. Last week I had a craving for Mexican, so I tried to make chicken enchiladas. They turned out very messy, but good! I couldn't get it out of the pan very well...that's why this one is very sad looking. But, they were really simple to make and Taylor loved them. Cook chopped chicken in a frying pan with taco seasoning. Add a small can of green chillies. Preheat the oven to 350. Scoop some of the chicken mixture into a tortilla. Add a little cheese and roll it up. Do this until the chicken is gone. I made 6, and had used about 1 lb. of chicken. Place the enchiladas in a baking dish and pour enchilada sauce from a can over the top. 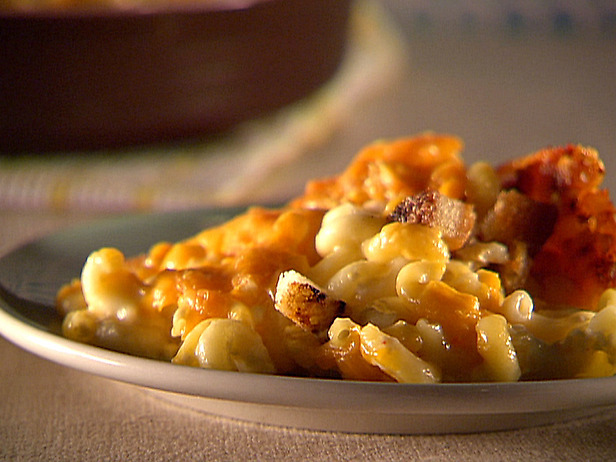 Add a little bit of shredded cheese and bake for as long as you want, probably about 15 minutes. I kept them in the oven on low until Taylor got home for around 30 minutes. I served them with lettuce, sour cream, taco rice, and beans. Super easy! I just realized it's been two weeks since I've last posted...eee! This is one of our favorite recipes. It's very easy to make and can be very inexpensive if you buy cheese when it's on sale. I didn't take a picture because I forgot! I got the recipe from here, but I usually change it each time I've made it. Here is the recipe toned down a bit, how I make it. It's not as spicy, and it uses a whole cup less of cheese! Boil 1/2 box of pasta. I like elbow pasta for this. Preheat the oven to 350. Combine the spices. I keep these the same as what's in the above link. Put the pasta into the baking dish. Add the creams, spices, cheese. Here's where I make some changes... You can do all half and half for less fat and it still tastes fine! Also, an egg isn't really necessary. At least, I've forgotten it and thought it turned out the same. Cheeses---I use a bag of Kraft (because I haven't seen another brand that has this combo.) shredded cheddar/monterrey jack cheese. Save just a little for the topping. Pepper jack is what they recommend, but that just makes it more spicy. This recipe calls for 24 ounces of cheese...that's crazy. I use maybe 16 ounces, if that. Skip the topping! I'm sure it's good, but it's just butter and breadcrumbs...not really needed with something as delicious and rich as creamy mac and cheese! Bake it for about 20-30 minutes until it's all warm and gooey. Penny has been writing a book in her spare time. She also enjoys running away with socks, taste testing things, and eating things. She likes to wear a fashionable scarf on these crisp, fall afternoons. This is my favorite soup ever! Most of my favorite foods are ones my mom makes, and this recipe came from her. This soup is especially easy if you do the first two steps way ahead of time. After those steps, it only takes about 20 minutes from start to finish. Enjoy! 1. Bake 6 small-medium potatoes with the skin on. I microwave them until they're cooked thoroughly. 2. Cook 12 slices of bacon. I like to bake it in the oven until it's really, really crisp and done. 3. Melt 2/3 cup of butter in a big stock pot. 4. Add 2/3 cup of flour and continually stir until a paste is made, over low heat. Be careful not to burn it. 5. Bring up the heat and begin adding 6 cups of milk. I add two cups at a time, stirring constantly, as it heats, to keep the temperature hot, but not boiling. 6. Once all of the milk is added and is mixed with the butter/flour, add all the stuff: diced potatoes, chopped bacon, about 4 green onions chopped, 1 1/4 cup of cheddar cheese shredded, 8 oz. sour cream, 1 tbsp chicken soup flavoring (I use Better than Boullion), 1/2 tsp. salt, and1/2 tsp. pepper. 7. Keep it on medium to low heat until it's heated thoroughly and seems ready to eat (maybe 15-20 minutes.) Keep stirring and watch that it doesn't burn at the bottom. Add some more milk (up to two cups even!) until it's the thickness you like. The next day, it will be very thick, so I may wait to add milk then. I wish we had taken more pictures! This is the only one. We went to the youth square dance and hot dog roast at church a few days ago. It was so fun! O, How I love fall! Acting cool in the pumpkin patch. I haven't been cooking lately...school is crazy right now...but, Penny is pretty darling! A wife and a first grade teacher who is thankful for every moment of life.